What is a Hardware Block? A hardware block is a non-surgical diagnostic procedure recommended for patients who may be experiencing chronic pain as a result of spinal fusion surgery. One of the most common reasons that people seek medical advice is because of pain that is associated with the spinal region. With the number of aged people on the rise world-wide, it is expected that many will suffer from spinal problems, many of which will most likely result in surgery. Estimates show that more than 300,000 spinal fusion surgeries are performed in the United States each year. 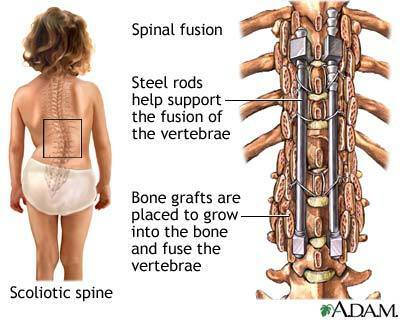 The majority of these spinal fusions are completed due to degenerative diseases of the spine, although spinal instability can originate from any type of disease or injury that affects the actual structure of the spine. During a spinal fusion surgery, instrumentation or hardware is normally inserted into the body in order to maintain anatomic alignment of the spine until the actual biological fusion takes place. In many cases, patients develop chronic pain due to the hardware or instrumentation that was used in their spinal fusion surgery. A hardware block allows the physician to diagnostically test if in fact the hardware is the cause of the chronic pain. Once that information is determined, patients are able to explore different types of pain treatment. How is a Hardware Block Performed? 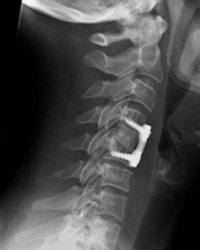 A physician will normally recommend a hardware block to help diagnose the cause of chronic pain in patients who have had a lumbar or cervical spinal fusion. A hardware block is an out-patient procedure that does not require surgery and takes less than an hour to administer. The patient is instructed to sit or lie in a position which exposes their spine. Using a small needle, the physician will inject a nerve block (local anesthetic) into the area of the spine where the hardware is located. Lidocaine is a local anesthetic commonly used in hardware blocks because of its effectiveness and high potency rate. Pain associated with a hardware block is relatively minimal for the patient, due to the small size of the needle used and because of the short period of time it takes for the procedure to be performed. Once the hardware block is administered, the physician will move the patient to a recovery area where they can be monitored. 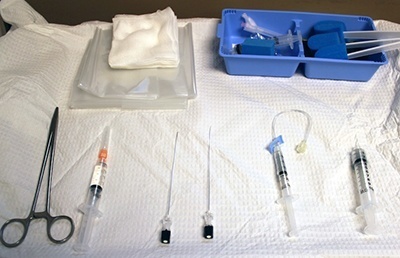 If the patient feels their pain has decreased after receiving the injection, this would indicate that the hardware itself may be the cause of the continuous discomfort. If the pain does not subside after the hardware block procedure, then the hardware from the spinal fusion is most likely not the underlying problem causing the pain. It is recommended that the patient minimize activity and rest for 24 hours after the hardware block is administered. Since the procedure involves injecting a needle with local anesthetic into the patient’s spine, the following side effects may occur nausea, dizziness, headache, tenderness around the injected area, infection, hematoma, allergic reaction, and local anesthetic toxicity. If a patient experiences any of these side effects after the hardware block has been administered, it is recommended that they call their physician to seek medical assistance. Hardware blocks can benefit patients who have undergone spinal fusion surgery and are experiencing chronic pain within that region of the body. The results of hardware block treatment in spinal fusion patients have been very successful in providing useful diagnostic data. The injected nerve block allows the physician to review the outcomes of the procedure and determine if the chronic pain is being caused by the hardware that was inserted into the patient’s spine. Hardware block treatments are a minimally invasive, non-surgical diagnostic procedure recommended to patients who are experiencing chronic pain after undergoing spinal fusion surgery. The nerve block, which is injected into the patient’s spine, can assist the physician with determining if the pain is being caused by the hardware that was inserted during the spinal surgery or if there is an alternate cause for the pain. Once this information is established, the physician can counsel the patient about optional forms of pain relief treatment and determine if hardware removal surgery may be needed. Boswell MV, Trescot AM, Datta S, et al. Interventional techniques: evidence-based practice guidelines in the management of chronic spinal pain. Pain Physician. 2007;10(1):7–111.